Links to our favorite LOST things, as featured in our segment ‘Never Let It Fade Away’! Dharma product labels in PDF format – print them out and create DIY Dharma goods! Final Season of ‘Lost’ Promises to Make Fans More Annoying than Ever – The Onion does a great ‘news’ piece on LOST – even including a clip of Damon and Carlton – on January 18, 2010, just prior to the start of season 6. The music of the Others LOST band – on Myspace, and some of their music can also be found accompanied by fan-made videos on YouTube, in addition to their orientation video for the band! LOSTies with Jed and Cara, a vidcast from two of our dear LOST podcasting friends! Check out all 71 of their episodes on their website or on their YouTube channel. LOST official soundtracks, beautiful musical scores composed by Michael Giacchino. What LOST Means to Us: a special edition of Jacob’s Cabin LOST Podcast that featured many LOST podcasting friends and listeners sharing their stories of how they got into LOST and what the show meant to them. LOST themed nursery room, and then here’s Damon Lindelof planking on his hatch coffee table! 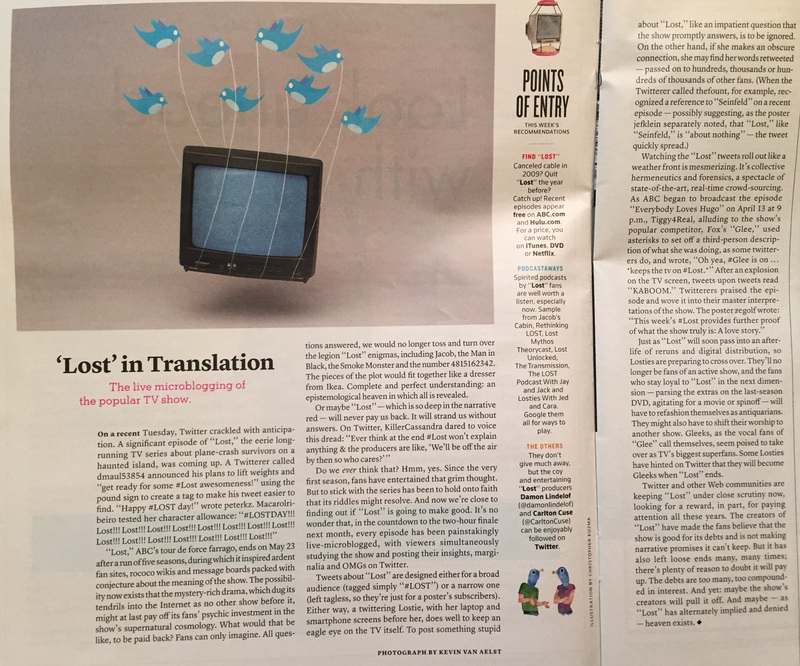 LOST in Translation – a brief article from April 25 2010 about the LOST fanbase on twitter, with suggestions to help viewers get into the LOST online community – including a mention of Anna’s previous LOST podcast, along with many others! Roller Coaster Smoke – song (original) and video (clips from Lost) by Punchline. Can also be found on Spotify, Vimeo, Amazon mp3, etc! LOST movie poster parodies – if anyone knows the source for these, please let us know! 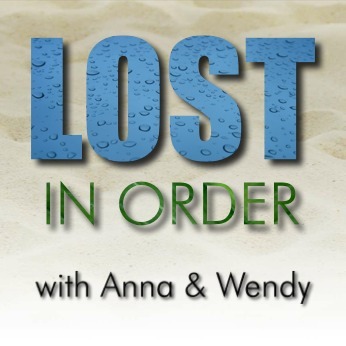 TLE’s blog – The LOST Expert – and check out his podcast All About LOST, too! The Black Rock LOST Podcast – with Curt, Dan, Nancy Drew, and Lost Lindsey! The Efren Solanga Extravaganza – a silly episode of the Lost Revisited Now podcast focusing on Efren Solanga, with songs, skits, and more!